Naysan has worked in a number of roles in Afghanistan with local and international NGOs, the United Nations and the Government of Afghanistan. This includes designing, managing, and evaluating implementation and research programmes. He has also worked as a researcher investigating the gendered impacts of microfinance programmes in Kabul, and the British aid model in Afghanistan. Most recently he has worked on poverty reduction issues with the United Nations in Jordan and Iraq. Naysan is presently in the final stages of his PhD research. 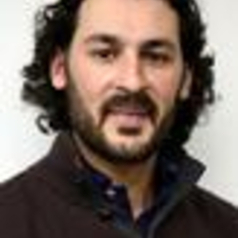 His research investigates ethnic and religious identity in the Central Highlands of Afghanistan. Based on fieldwork in Bamyan, Afghanistan from 2010-2012 his thesis analyses the changing nature of ethnicity in post-2001 Bamyan. In particular it emphasise the role of the state, conflict, and development interventions upon the control of productive resources, social hierarchies and ethnic relations. Naysan currently holds an MSc (Hons) in Applied Development Studies from the University of Reading and a BSc in Applied Psychology from the University of Durham.